She was practically apologetic over offering them to me- sure that they weren’t able to be made over, not solid wood, etc. She was pretty shocked to see a sneak peek of the “after” a few days ago. 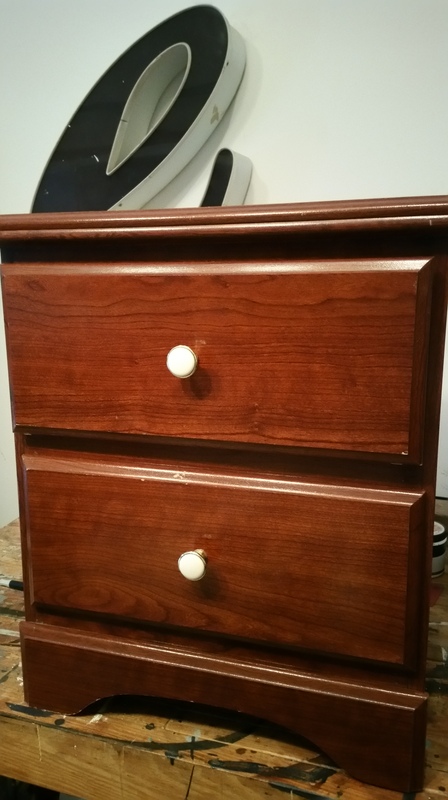 Some painters won’t take on any pieces that aren’t solid wood, but I love being able to take these little cast-offs and giving them a new lease on life. Solid wood, schmolid wood- pressed wood stuff still doesn’t need to end up in the landfill or something. And I certainly won’t look a gift horse in the mouth! The great thing about free pieces, especially pieces that no one really expects to turn out great, is that you can play around and get a little wild with them! 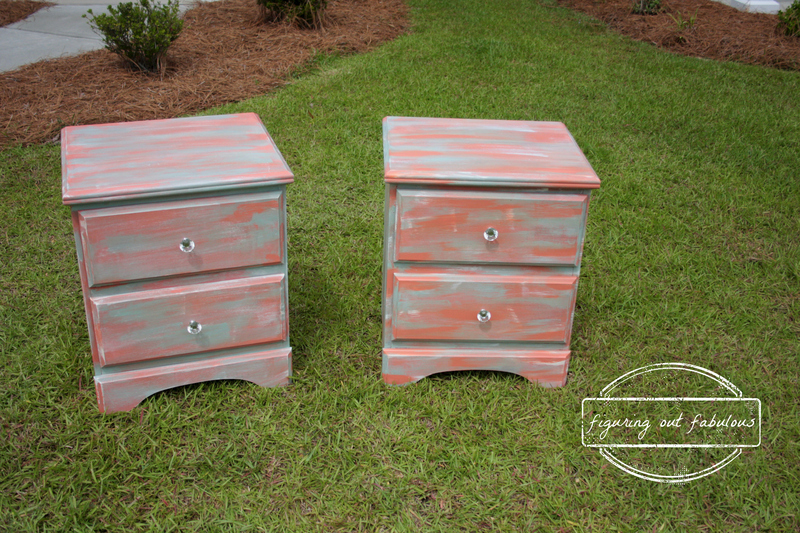 That’s what I did here- went outside my typical colors, tried a DIY chalk paint recipe and went at it. Honestly, they aren’t my best work ever (it’s driving me crazy that the pink in one of them looks splotchier, but the photo makes it more apparent than it really is) but I bet they will make someone happy! Thanks for letting me make these over, Meghan! Ok. they look completely amazing! I will officially stop apologizing when I give you stuff I think is terrible! I’m thinking of how adorable they would look in a girl’s bedroom!!! !